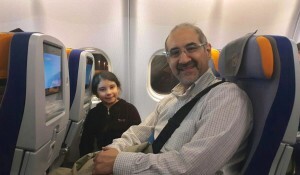 We are thrilled to report that Kian, his wife Bahar and daughter Hasti received their travel papers in the days leading up to January 16th, and were able to leave Iran on January 28th! Kian and his family are pleased to report the approval of their appeal to extend the period of his release. They sincerely hope to be able to remain together, while further legal procedures are underway in an attempt to resolve his case. Thank you again for your wishes and support. 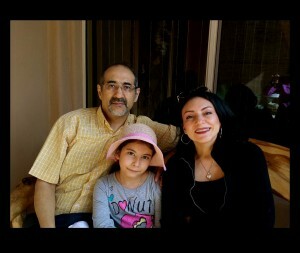 “An appeals court has reduced Iranian American researcher Kian Tajbakhsh’s sentence to five years. Behzad Nabavi’s sentence has also been reduced to five years. Earlier there was news about the six year prison sentence of Mohsen Safaee Farahani, 61. General and Revolutionary Courts have announced the verdicts of 35 individuals arrested after the elections. An appeals court has reviewed and finalized the rulings, sending the cases to the “Implementation Unit” of the Courts. Referring to Tajbakhsh’s initial court, his attorney also said: “He had a court appointed lawyer in the initial court. In the beginning of his case he had bail orders. When I entered the case at appeals stage, I noticed that his bail orders had been converted to detention orders.” He emphasized that he has read the case and he is sure that the ruling will be overturned.